Recently besieged by competitors in a series of recent surveys that indicate strong challenges to its longstanding cloud supremacy, Amazon Web Services Inc. (AWS) nevertheless was recently ranked by Forrester Research Inc. as the top public cloud platform for software development. DevOps pros write code, but also do the configuration and management of servers, databases, networks, storage and so forth. Platforms that lend themselves to such extensive configuration include IaaS, IaaS+ and PaaS. Cloud powerhouse AWS ranked No. 1, closely followed by Microsoft, for leadership status in all developer-type categories except for rapid developers. For those speedsters, Salesforce.com, Mendix and OutSystems were the leading platforms as ranked by Forrester. "AWS retained a solid advantage for the DevOps and coder segments -- and as an overall choice for CIOs," the study said. Overall, AWS, Microsoft and Salesforce.com were the top three cloud providers for developers. "The capabilities of AWS' application services, coupled with its mature infrastructure services, vast ecosystem of partners, including many of the rapid-dev and coder-focused platforms in this analysis, gave it high current offering and strategy scores across all but the rapid dev segment, where its degree of abstraction does not rise to the needs of this user," the study said. "It also excels in breadth of security, reliability and compliance characteristics." With the new study, AWS is shown to be still staving off competitors in at least one crucial area, though all are making progress in trying to serve customer needs. "AWS, Microsoft, and Salesforce.com are each leaders in meeting CIO requirements," the study said. "Each of these vendors started its cloud-platform journey in a distinct position serving a specific developer type and has expanded its offerings to provide greater breadth to a wider range of developers and support for a larger catalog of application types. Across all four Forrester Wave comparisons, two vendors stood out as consistent and clear leaders, while another, AWS, was a leader across three of the four segments." In other study highlights, Forrester also found a kind of convergence of the public cloud services providers as they evolve their platforms to attract organizations and their development teams. "The popular wisdom that cloud computing comes in three flavors -- Software as a Service (SaaS), IaaS and PaaS -- no longer describes reality. 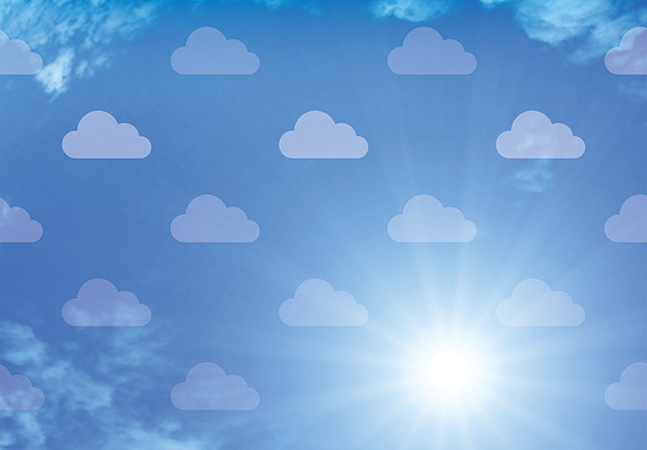 We find that vendors are blurring the lines between the three cloud-computing categories."